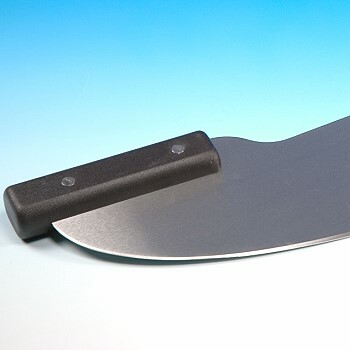 Heavy-duty professional quality Rocker Pizza Knife. Perfect for slicing pizza or cutting other large items. 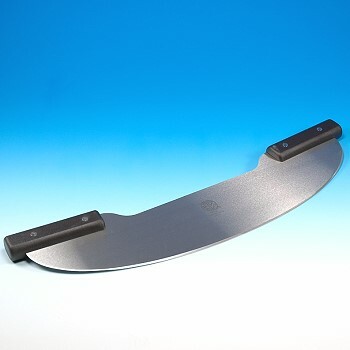 Sharp stainless steel curved blade.